I’m over and out until Memorial Weekend so here’s a quick report for the two people that check this blog. The trout are extra thick and well fed, the poison oak is everywhere and I saw my first rattler today across from Johnson Flats. Lots of bugs, big bugs, little bugs, all kinds of bugs. There are salmon flies all the way to trout creek as of yesterday and goldens to maybe North Junction, the fish are willing but not yet stupid for them. If you are fishing with me in the next week or so congratulations, you nailed it. Here’s a giant that crushed a swung Clark’s Stone as I was walking back to the boat to change flies…seriously, biggest “red side” I’ve ever encountered, what a ride. 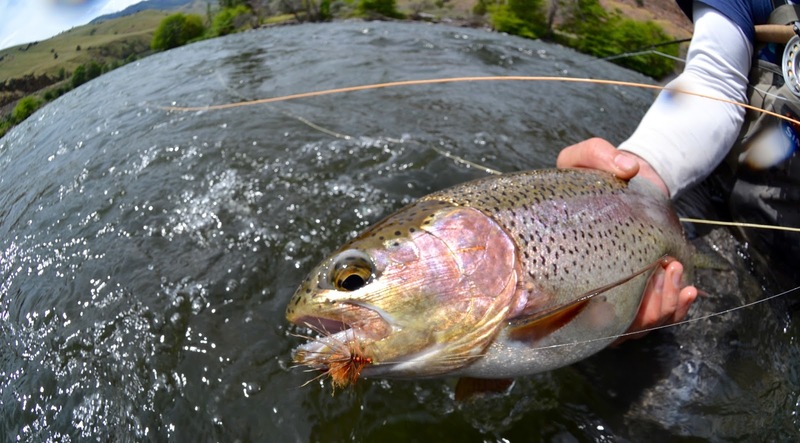 deschutes, fly fishing report, trout. Bookmark.